Dinemic framework strongly relays on cryptographic tools, like symmetric and asymmetric encryption as well as the digital signatures. This made possible to use its cryptographic background as second, after ORM function – the permission management system. Above is done individually by each node in cluster. Due to weak consistency of dinemic clusters, it is each node’s interest to properly filter and apply database updates. It was described in previous chapters before, however it is worth to recall how to see all objects in dinemic cluster. Each object in dinemic database has its pair of cryptographic keys. 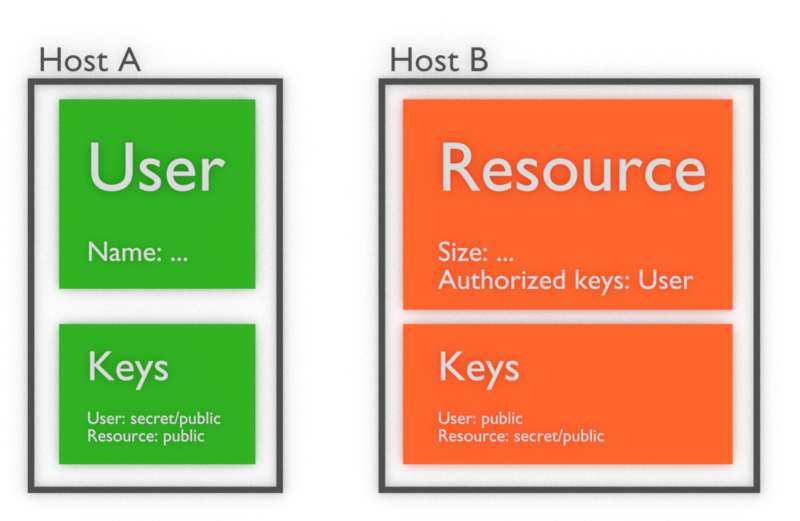 The private key is always stored only on machine, where object was originally created. 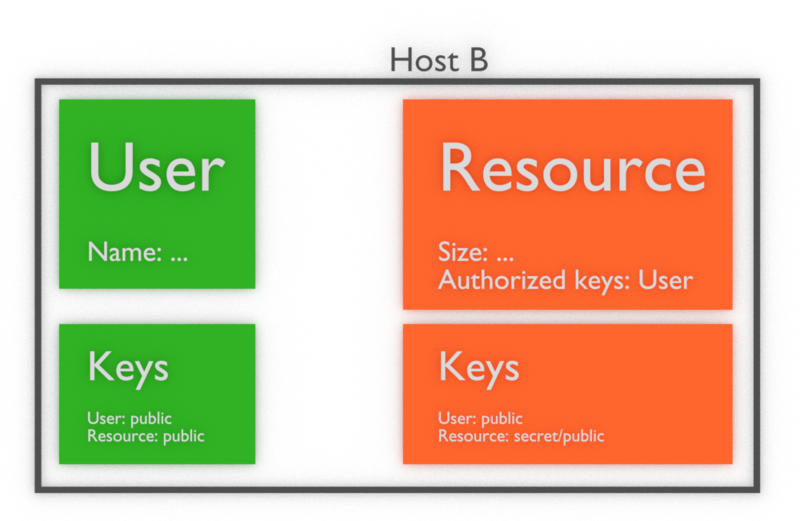 The Public key is stored on all nodes in network. Also object’s ID is generated basing on this key. This is key feature to remember, when creating logic responsible to filtering database updates. As important cryptographic principle, it is worth to mention, that signatures could be done only by using private keys. Anybody having public key could verify such signature. 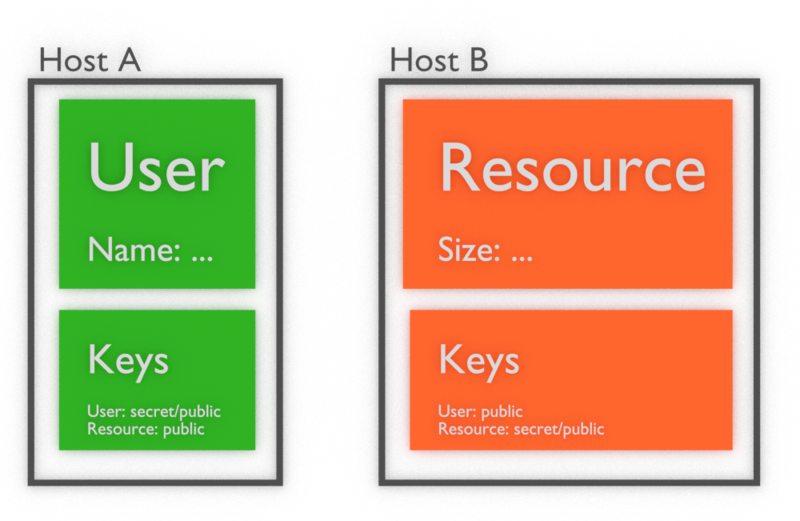 Also it is possible to create public key from private and not vice versa. So once you create application that handle some updates, first logics should check if there is available secret key (object is owned) to create valid update and broadcast it to whole network. So good point of starting such logic is to get from DModel list of owned objects IDs (DModel::object_list_owned) and check if there is any ID present in authorized keys of object that we want to update. In above example we first re-create User object. Then we can re-create Resource object with parameter caller pointing to User. Then User instance will be used to sign any notifications and encrypt/decrypt protected data of Resource object on this machine. Of course, above re-creating could be done anywhere in cluster, just to check what data is stored in that objects. But only re-creating that objects on machine with User’s secret key will result properly signed notifications. Last line, updating DField size will send signed by User notification to whole cluster. 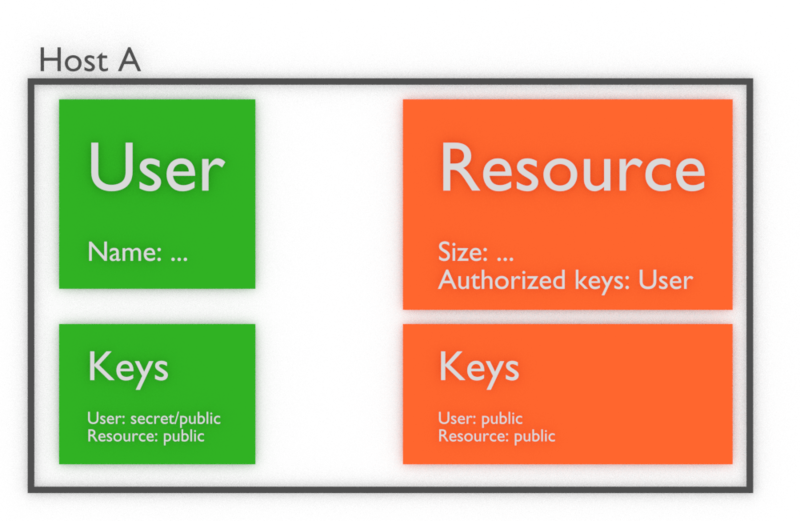 Due to User‘s key is authorized to sign such udpates on Resource, it should be accepted on all nodes. Both of them contain list of object IDs. First list, update_authorized_objects is used by Dinemic framework to verify updates made when object was modified, as described in above examples. Second list, read_authorized_objects is used by DList and DField to encrypt and decrypt fields, which are marked as encrypted. That was described in DField and DList chapter. Finally any object present in read_authorized_objects is able to find symmetric key encrypted by its public key and decrypt by its secret key. Then object is able to decrypt contents of DField or DList. All principles related to caller are valid here too. By not setting this parameter, when re-creating object, it is possible to read data only on machine which has object’s secret key. If caller is one of read_authorized_objects, then its secret key is used to decrypt contents, if present. Read_authorized_objects list could be used to protect particular fields from reading by unauthorized participants of cluster. Update_authorized_objects list protects whole object when proper listener, rejecting unauthorized updates is present. Last possibility to protect objects and manage permissions is to apply DAction objects to SyncInterface of Dinemic framework. DAction objects could prevent applying notifications on local database in accordance to various logics, implemented by developer in such listeners. However it is important, that such listeners should behave in the same way in each node of cluster. Otherwise state of databases across nodes in cluster will not be the same and this may lead to undefined behavior. To reject update just throw DUpdateRejected exception with proper reason in parameter. This will be catched by notification queue in SyncInterface of Dinemic framework and update will be rejected.